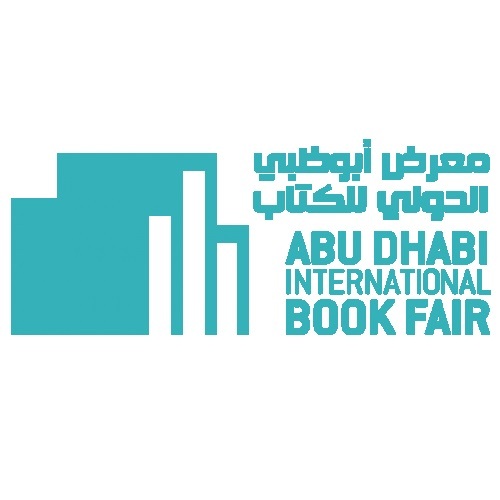 A Antiquariaat FORUM BV vai estar presente na Abu Dhabi International Book Fair (April 26 - May 2), para o que elaborou um catálogo especial. Sobre este leia-se o que Laurens Hesselink escreveu sobre o mesmo. 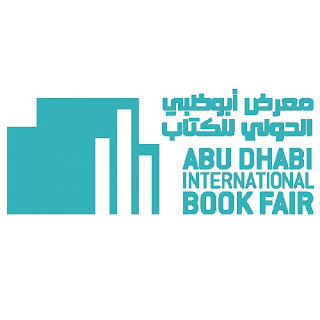 We are happy to announce our participation in the Abu Dhabi International Book Fair, which will be held from April 26 to May 2. We will be exhibiting over 200 books, photographs, drawings and manuscripts, including several titles related to China, the Guest of Honour at the 2017 Abu Dhabi Book Fair. 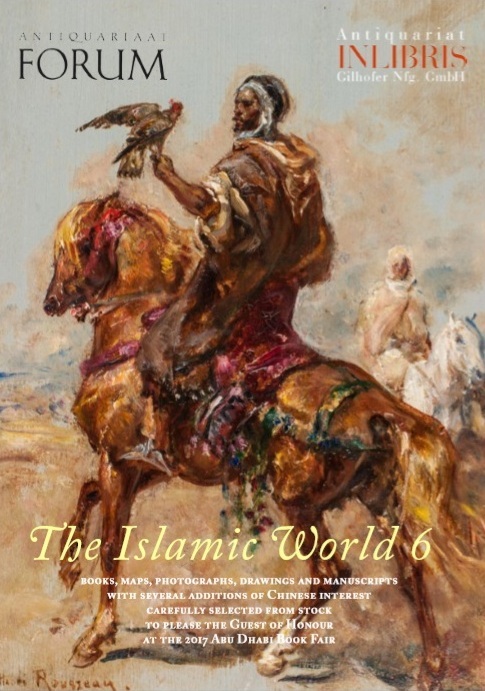 Our fair catalogue can be downloaded by clicking on the image on the left, or on ths link: The Islamic World 6. We invite you to join us in Stand A36 at the Doha Exhibition and Convention Center, which we share, as usually, with our good friends of Antiquariat INLIBRIS Gilhofer Nfg from Vienna. 10. 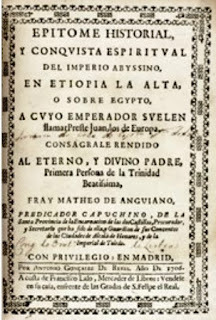 ANGUIANO, Mateo de – Epitome historial, y conquista espiritual del imperio Abyssino, en Etiopia la alta, o sobre Egypto, a cvyo emperador svelen llamar Preste Juan, los de Europa. Madrid, by Antonio Gonçalez de Reyes for Francisco Laso, 1706. 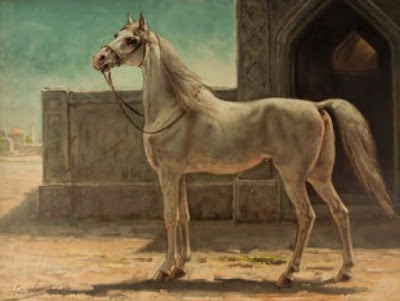 4º. Modern mottled, tanned sheepskin, gold-tooled spine. In modern slipcase. First and only edition of a chronicle mainly relating the spiritual conquests of Portuguese, in the lands supposedly once ruled by the mythical Prester John (Abyssinia, Ethiopia, Egypt and Sudan). The book summarizes the entire history of the first contacts with Westerners in these lands, giving a comprehensive bibliography on the last 4 pages. It includes an account of the massacre of the Portuguese and Spaniards by the Muslim Turks in Sudan (chapters 16–17). The work also includes accounts of Spanish missionaries murdered in the Americas, notably the West Indies, Venezuela, Panama and Martinique. With two near contemporary owner’s inscriptions on title-page and two library stamps professionally removed from the second leaf. Dampstain through the first 33 pages and a few restorations to the lower margins,; a good copy. Alden & Landis 706/5; Medina, BHA 2130; Palau 12706. 14. BALBI, Gasparo – Viaggio dell’Indie Orientali. Venice, Camillo Borgominieri, 1590. 8º (100 × 147 mm). With woodcut title device, woodcut foliated initials and woodcut navigational diagram. Contemporary full vellum with handwritten spine title (traces of ties). 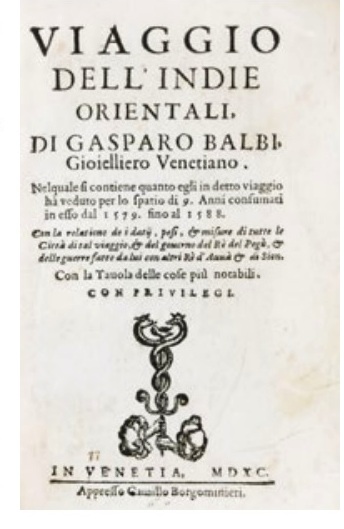 First edition of this travelogue by the Venetian state jeweller and merchant, containing much information useful to the contemporary merchant, including rates of exchange, duties, travel routes and distances as well as a detailed account of the pearling grounds in the Arabian Gulf. As only recent research by B. J. Slot has revealed, Balbi was “the first writer to record the place names between al-Qatif and Oman that are still in use today” (UAE: A New Perspective, 74). Thus, the present volume constitutes the earliest printed source for the history of the UAE, Qatar, and Oman. “Either taking his information first-hand from a local individual or using a navigator’s list, Balbi recorded place-names along the coast of modern Qatar, the United Arab Emirates and the Sultanate of Oman [...] he is the first to refer to many of these places using the names by which they are known today” (King). According to Slot, “practically none of the names of places on the coast between Qatar and Ras al Khaima occur in other sources before the end of the eighteenth century” (36). The present work is also of the utmost significance for “includ[ing] the first European record of the Bani Yas tribe” (UAE yearbook 2005, 46) – the first printed mention of the largest and most important tribe of the Arabian Peninsula, from which emerged both the Al Nahyan and the Al Maktoum dynasties, today’s ruling families of Abu Dhabi and Dubai. Rare: the present original edition is recorded in no more than some 20 copies worldwide (only two in the U.S., according to OCLC); most libraries hold only the Rome 1962 reprint or the microfiche edition (New Haven 1974). An Arabic translation was published in 2008; an English translation has not been prepared to this day. Contemporary accession number “2953” in ink and 20th century pencil notes on flyleaf. 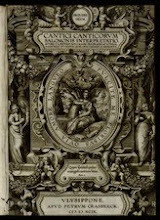 Bookplate of Jean-Paul Morin (b. 1946), former director of the Saatchi & Saatchi and Publicis agencies, grandson of the painter Jean Sala, and himself well known as a traveller. A wonderfully preserved copy in its original binding. Edit 16, CNCE 3930. BM-STC Italian 68. Howgego I, B7. Cordier Japonica 112. Brunet I, 618. Graesse I, 279. Goldsmiths’ 251. Kress library of economic literature S 276. Ibrahim Al Abed, Peter Hellyer. United Arab Emirates: A New Perspective. London 2001. Slot, B. J. The Arabs of the Gulf, 1602–1784. Leidschendam, published with the support of the Cultural Foundation Abu Dhabi, 1993. Geoffrey King. 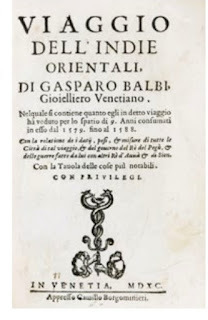 Delmephialmas and Sircorcor: Gasparo Balbi, Dalmâ, Julfâr and a problem of transliteration. In: Arabian archeology and epigraphy 17 (2006) 248–252. United Arab Emirates yearbook 2005 by Ibrahim Al-Abed, Paula Vine, Peter Hellyer. London 2005. The Heritage Library, Qatar, p. 17. Not in Adams. Carter, Robert A. Sea of Pearls, p. 79. 57. [GOURDELLE, Pierre?] – [Title on the spine of the modern box:] Recueil de dessins d’oiseaux. [Paris or Lyons? ], [ca. 1550/60]. Royal 2º (42.5 × 29 cm), mostly in 4s. With a full-page coat of arms of the first owner in coloured gouaches and gold (on an oval shield: azure, a chevron or, between 3 stags’ heads caboshed), probably of the arms of Charuel (Paris?) or Bourdin; and 58 watercolour drawings of birds (and a bat) on 50 leaves, with the paper glazed and some drawings with highlights in gold. Contemporary (1560s) richly gold-tooled light brown calf, each board in a “fanfare” design, with strapwork and stylized plant decoration (with the calf darker in the strapwork and some of the plant decorations), each of the 8 spine spine compartments with the same stylized plant decorations, fillets on board edges, gilt edges. In a 20th-century black morocco clamshell box with a perspex front (so that the binding remains visible in the closed box) and “Pierre Gourdelle–Recueil de dessins d’oiseaux” in gold on the spine. A magnificent book of large and finely executed French Renaissance watercolour drawings of a wide variety of birds, mostly with a single large drawing (up to about 25 cm tall) on the recto of each leaf, but a few leaves show 2, 3 or 4 drawings of smaller birds together on one page to give 58 drawings on the 50 leaves. 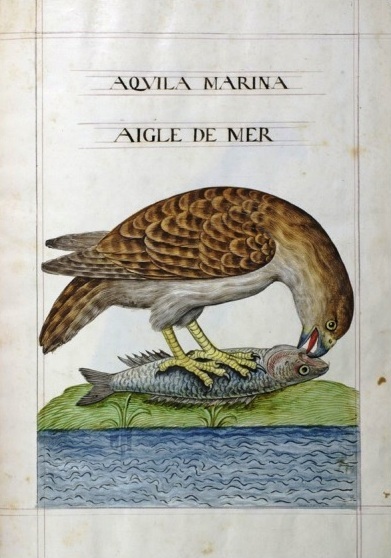 It is one of the earliest known series of French ornithological drawings and one of the best and most extensive Renaissance bird books. It shows 14 different varieties of birds of prey, including falcons, hawks, eagles, owls, a vulture and a buzzard. 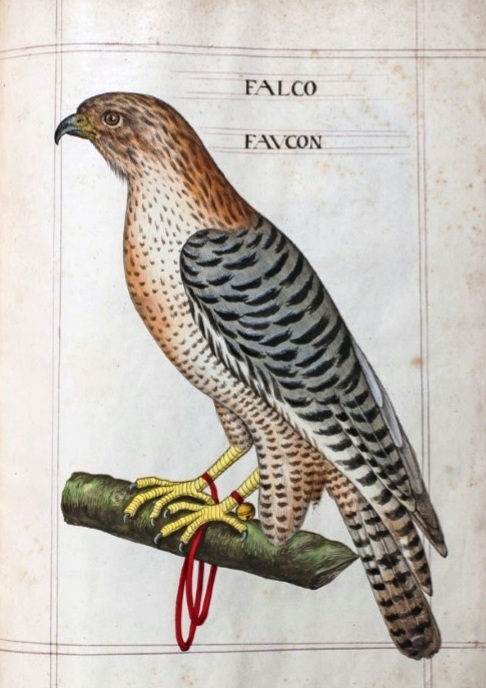 Two of the falcons are shown with jesses, probably a lanner falcon (Falco biarmicus) and a kestrel (Falco tinnunculus), the former also with a bell. A lesser fish Eagle (Ichthyophaga humilis) is shown devouring a fish and a buzzard(?) devouring a snake. The book also includes a wide variety of water birds, song birds in colourful plumage (including a kingfisher), an occasional exotic species (parrot, parakeet, peacock) and even a bat. Following mythological tradition the pelican is shown feeding its young with its own blood and the wholly mythological phoenix is shown rising up out of the flames. To a mid-16th-century audience these may have appeared more plausible than the peacock. Several of the drawings show some relation to the woodcuts in Pierre Belon, L’histoire de la nature des oyseaux (Paris, 1555), and a few are close enough to suggest that one must be based on the other or both on the same source: the bat (16: Belon, p. 114), long-eared owl (18: Belon, p. 136), vulture (43: Belon, p. 84) and no doubt others. But some (such as the peacock) only show a general similarity while others give a completely different rendering of the same or a similar species. Each work includes some species wholly absent in the other, including the present phoenix. When the Musée Condé exhibited “Livres du cabinet de Pierre Berès” at Chateau Chantilly in 2003/04, they studied the present drawings and concluded that they were older than Belon’s 1555 woodcuts, suggesting that some of the drawings served as models for the woodblock cutter. Belon’s preliminary note to the reader says (a4r), «Mais entre les autres, ne voulants celer les noms de ceux qui nous y ont le plus servy, avons usé de l’artifice de maistre Pierre Goudet [recté Gourdet or Gourdelle] Parisien, peintre vrayment ingenieux». For this reason, the present series of drawings is attributed to Gourdelle. By ca. 1725 the book had apparently come into British hands, for an English manuscript note accompanying an index of the drawings on the front paste-down refers to the dispersal of Jean Grolier’s library “about fifty years ago”, an allusion to Le Caille’s claim that the library remained intact until 1675/76 (this has been shown not to be true and may allude to the 1676 sale of the library of Jean Ballesdens (1595–1675), who had many books from Grolier’s library). The British owner who wrote the note suggests that this book came from Grolier’s library, but may have simply supposed that based on the style of the binding. Another anonymous English note, on leaf 10, refers to the shooting of a bustard in Dorsetshire in 1781. The book has a 19th-century armorial bookplate of Thomas Snodgrass, with motto, “beata petamus arva”. Pierre Berès acquired it from H.P. Kraus in New York in January 1949. In very good condition. A remarkably early set of fine and large French ornithologial watercolour drawings showing 58 varieties of birds, including falcons and other birds of prey, in a contemporary fanfare binding. Pierre Bergé, Pierre Berès: 80 ans de passion, IV, Paris, 20 June 2006, lot 16; for the binding style: Hobson, Les relieures à la fanfare, 1970, p. 4, no. 13; for the only comparable manuscript we have located: Museum National d’Histoire Naturelle, Catalogue général des manuscripts, p. 267, ms. no. 1914. Boa leitura e consulta deste importante catálogo, pela informação contida de grande interesse para a história desta temática sempre fascinante. Saudações bibliófilas com votos de uma Páscoa Feliz. Os descritivos e as fotografias são da responsabilidade e copyright do livreiro.